When a great drought threatens a Comanche community, all of their dances and drumming doesn't seem to sway the Great Spirit to send the rain they need. Soon their situation is desperate, and many lives have been lost to thirst and hunger. 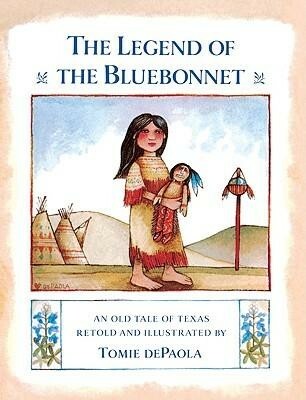 One of the few children left is She-Who-Is-Alone, who lost her parents and has nothing but memories of them and her beloved warrior doll, with the vivid blue feathers in his hair. But when the shaman returns saying that the Great Spirit demands a sacrifice, She-Who-Is-Alone will have the courage to offer the thing she treasures most to save her whole community -- and in return, she'll receive a reward beyond what she could have expected. 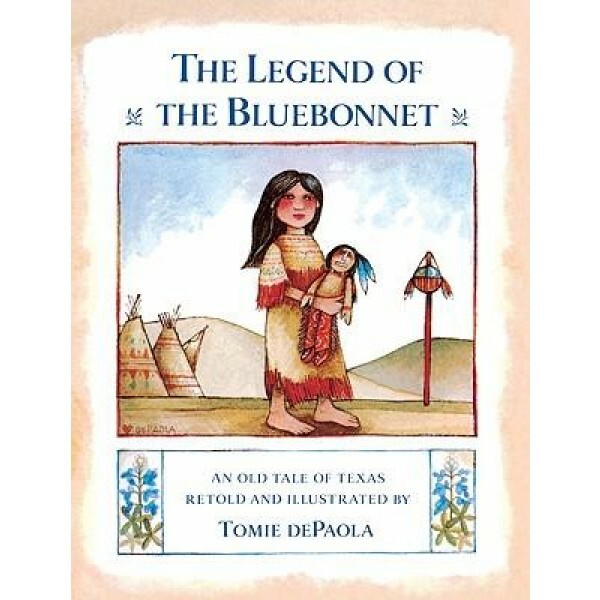 This beautiful story, based on Comanche folklore, tells the story of how the bluebonnet, Texas' state flower, came to cover the hills every spring.